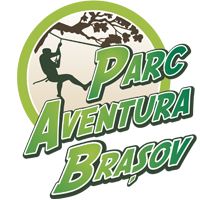 Parc Aventura Brasov is accessible to all individuals, starting from the age of four (4), whose physical and mental abilities allow the independent crossing of the routes and participation in available games, in accordance with the appropriate rules and regulations. Participants must attend training on safety gear, course equipment and structures within the park. I agree to undertake the Activities in accordance with the written Rules of Participation that I have received with this document and the oral instructions given to me before undertaking the Activities. I agree to wear my harness with safety lines, carabiners and pulley as instructed and agree to ensure that I am attached to the Safety System with at least one safety line at all times when above the ground. If you agreed to supervise one or more minors, both you and they are responsible for ensuring that they follow these Rules of Participation and are correctly attached to the safety system at all times. You must be on the same site as the minors you agreed to supervise at all times and you must be able to see them at all times. Participants may not weigh more than 110 Kilograms. Please note that due to the restrictions of our harnesses, persons weighing close to this amount may not be able to participate if the harness does not properly fit. Parc Aventura Brasov visitor numbers are limited to prevent overcrowding. Entry is on a first come, first served basis. Should Parc Aventura Brasov reach capacity no further entries will be permitted regardless of ticket or pass type. The maximum amount of usage time, per participant, is three (3) hours. If you stay more than (3) three hours, you will be charged with an additional fee acording to the tabel. A demonstration on the proper handling of the equipment and game instruction will be provided by Parc Aventura Brasov staff at routine times. It is a mandatory requirement of all guests to attend prior to admission and release of equipment into their custody. An act of identity is necessary to rent the safety equipment (harness). Harnesses must not be removed or loosened – for any reason – and staff must be notified if a harness loosens or safety clips do not function as expected. Allow faster climbers to pass on platforms. Only 1 person is permitted on an element or zip line at a time. Only 3 people are permitted on a platform at a time. Do not bounce on platforms or elements. Tie up long hair, tuck away necklaces and remove hoop/dangling earrings and all loose jewelry. Wear closed toe shoes. Slip off and flip-flap shoes are not permitted. Parc Aventura Brasov does not provide refunds. Refunds are not issued due to adverse and/or inclement weather conditions. During extreme weather conditions you may be asked to evacuate the park. Guests will be allowed back on the course as soon as conditions allow. Your time may be extended. There are no refunds for weather related closures. The exit is final, even if the allocated time is not fully consumed. If you change your mind during your visit and want to leave the premises before attempting any route, you will get a refund in the form of a gift voucher valid for one year. Parc Aventura Brasov reserves the right to refuse entry or remove guests from the park (without refund or compensation) for offensive behaviour, queue line jumping, stealing, vandalism, unsociable behaviour including unsocial language, displaying any signs of intoxication and/ or under the influence of alcohol or drugs, failure to follow ride guard and/or ride safety instruction signage or failure to comply with these conditions of entry. Any participant causing damage to equipment (as a result of incorrect usage or failure to follow the appropriate regulations/operating instructions) will bear the personal cost of replacement. Acceptance of access to the Park represents the intent of the participants to adhere to all of the above rules and regulations. By making this ticket purchase you acknowledge the Parc Aventura Brasov conditions of entry.